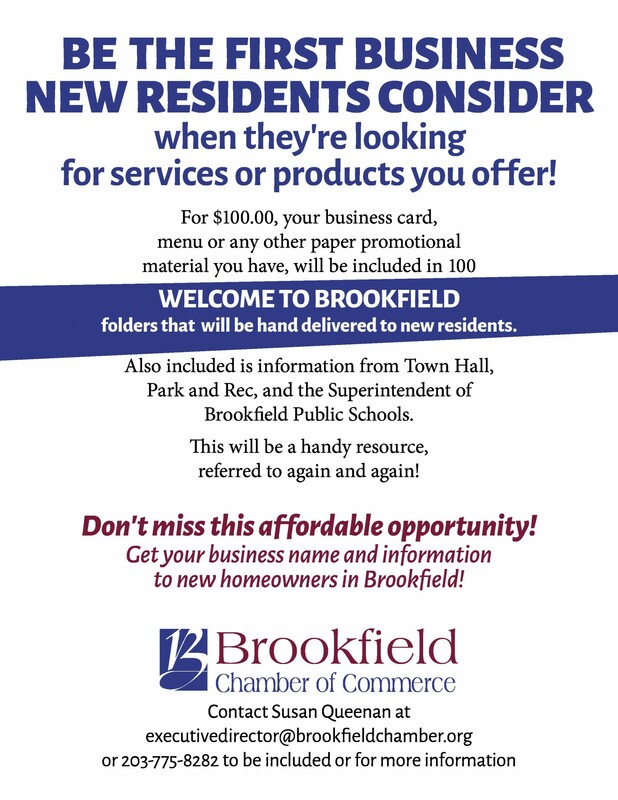 The Brookfield Chamber of Commerce provides programs that allow businesses to connect with other businesses as well as the community. This is done through our popular Business Networking events (see events section of website). The Chamber is always working to develop relationships with resources to provide marketing opportunities to reach the community and consumers. For example, the Chamber of Commerce offers programming through the Brookfield High School Boosters Club. This allows businesses to reach over 200 active families in Brookfield. In the summer of 2016, the Brookfield Chamber partnered with the Bethel Chamber of Commerce for our first annual Chamber vs. Chamber Corn Hole Challenge. The events were very popular and provided an opportunity for businesses in neighboring towns to meet and connect. Look for information about the Corn Hole Challenge coming summer 2017! Programs are being developed throughout the year — please check our website for up-to-date information and opportunities.